As soon as I got home from work today, my hubby asked me if we could push through our dinner date that we’d been planning for weeks already. 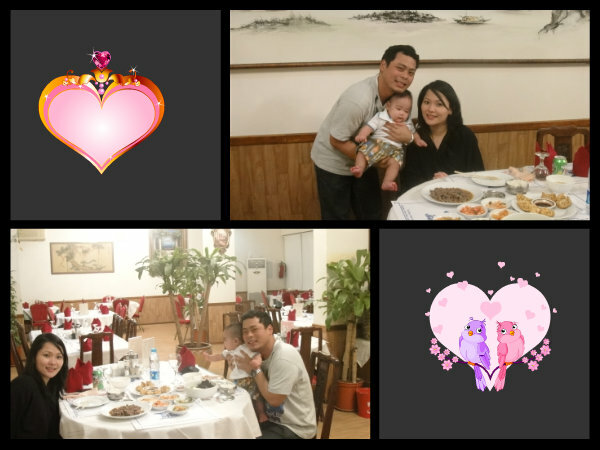 We kept on postponing it due to our busy schedule at work and commitments with friends. 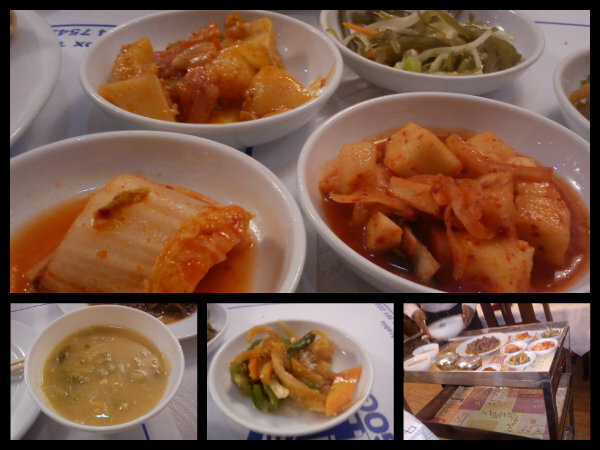 But today, we finally carried out our plan to eat dinner in a Korean Restaurant that Rowel had been bragging about. 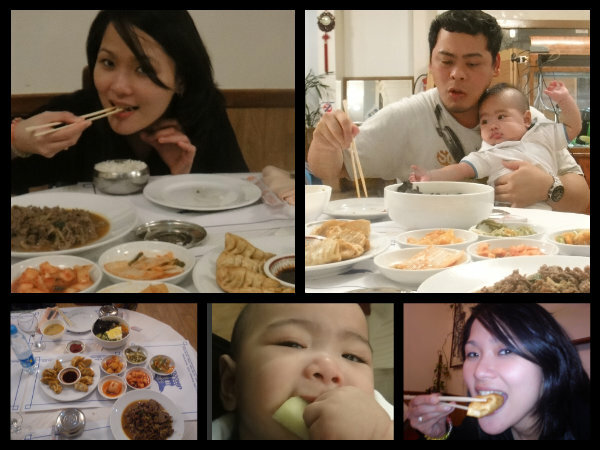 We both love Korean foods, especially KIMCHI and BIBIMBAP! 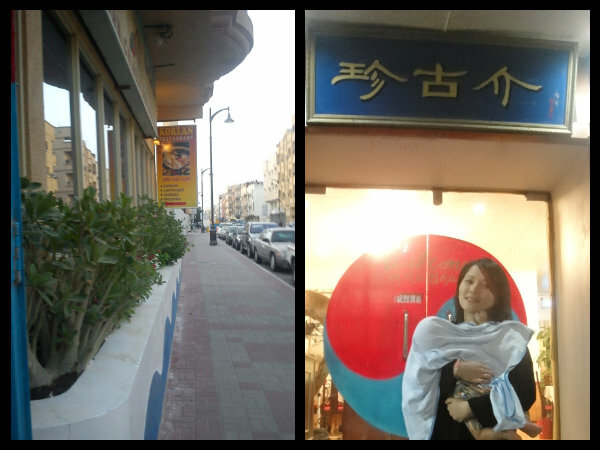 JIN GO GAI, this is the name of the eating place and it is located in Al Khobar, Saudi Arabia. 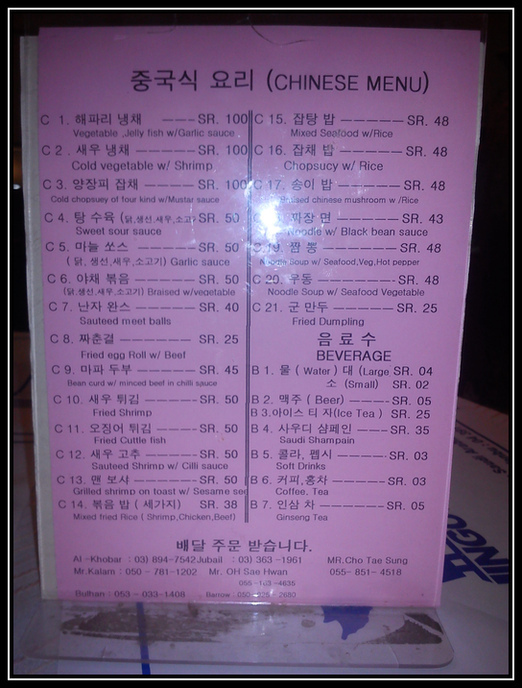 They serve ASIAN dishes, but mostly Korean and Chinese. Their serving is good for two people. It has that oriental taste. It’s good, but we could have ordered a much better tasting dish. 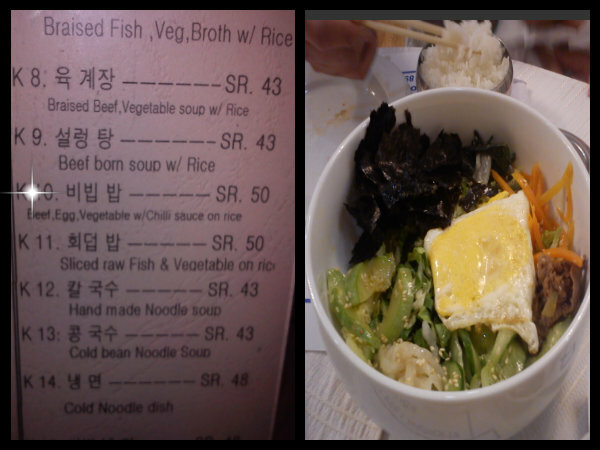 The first time we tasted bibimbap in Japan, Rowel and I got hooked right away. 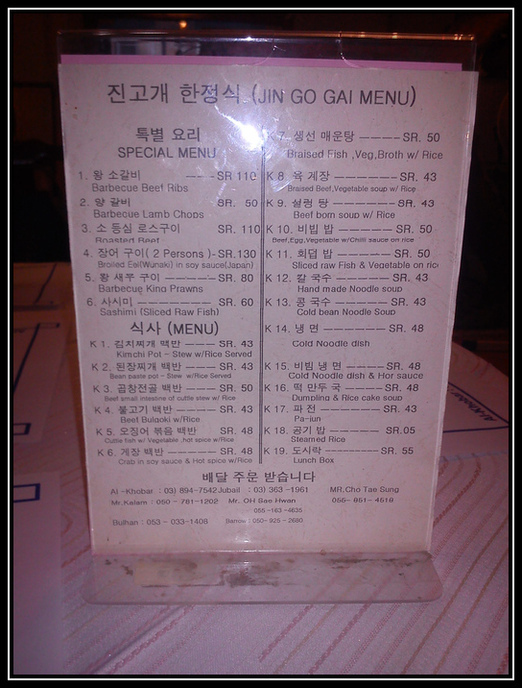 Since then, we’ve searched for restaurants that serve this famous Korean food. Finally, we found one here in Saudi Arabia! It’s not as good as the one we had in Osaka, but I must say, it’s still addicting! 😀 We will forever love BIBIMBAP!!!!! I loved the soup, but Rowel did not. 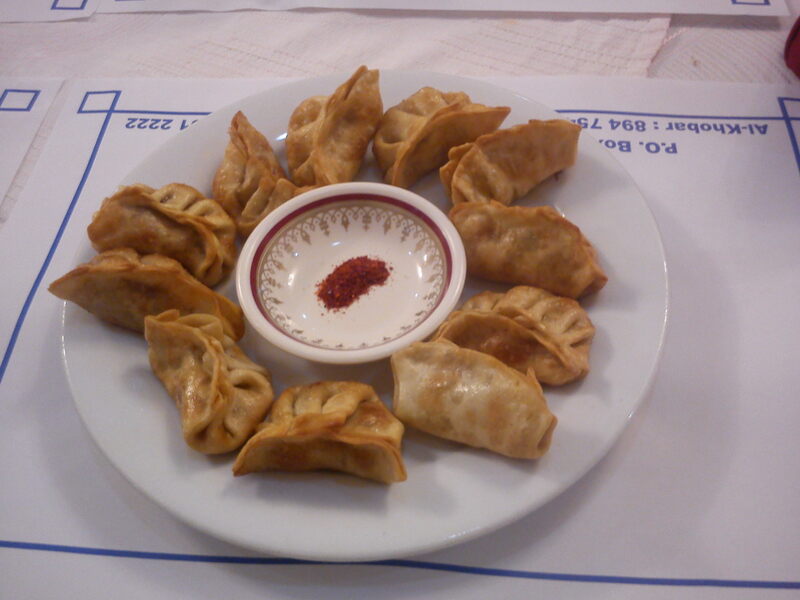 Fried dumplings, the only Chinese food that we ordered. YUMMY!!!! My rating for this restaurant? 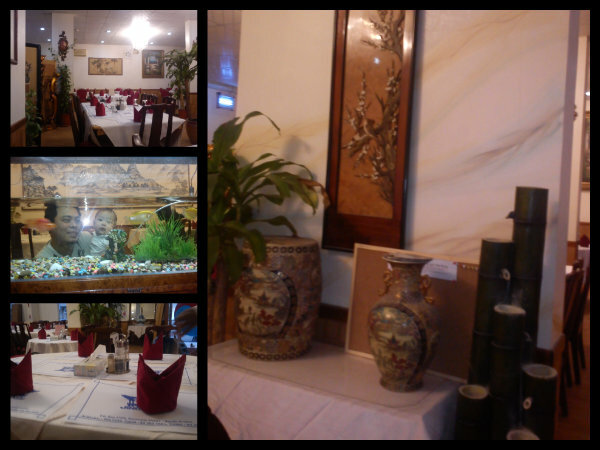 Considering the ambiance, service, price and food, it’s satisfactory! This entry was posted in 100-DAY PHOTO CHALLENGE, Restaurants, SAUDI ARABIA and tagged 100-day photo challenge, asian dishes, bibimbap, Bulgoki, dumplings, food, KIMCHI, korean food, photography. Bookmark the permalink. 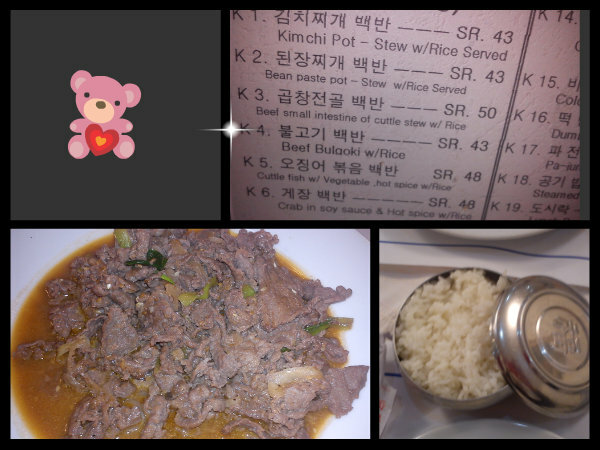 Thanks for sharing sweet lover in Kores witj little koreano…i enjoy the photos…promise!!! Hey Charisse! cool blog! I was just wondering where can I find this place?